Matt is based in New York City and focuses on investments in financial technology and services. He sees a huge amount of revenue, profit and market cap shifting from regulated financial institutions to entrepreneur-led insurgents, across payments, lending, capital markets and insurance. More blathering on these topics can be found at www.finsurgency.com. Matt started his investing career at Bain Capital private equity in 1995, having worked previously at Bain & Company, and attended Williams College, where he majored in rugby. 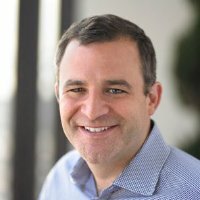 In 2000, Matt founded Village Ventures, which he ran for 12 years and where he focused on early-stage fintech investing. In 2012 he rejoined Bain Capital Ventures. istory, and some day will write a book connecting the strategy and tactics of insurgency with what he has learned about entrepreneurship.